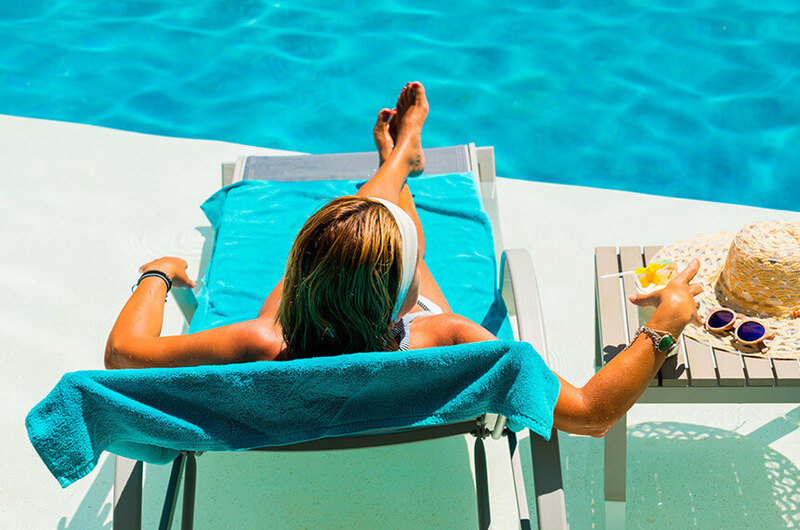 Enjoy a much needed, refreshing, mid-day break or just soak up some famous California Sun. 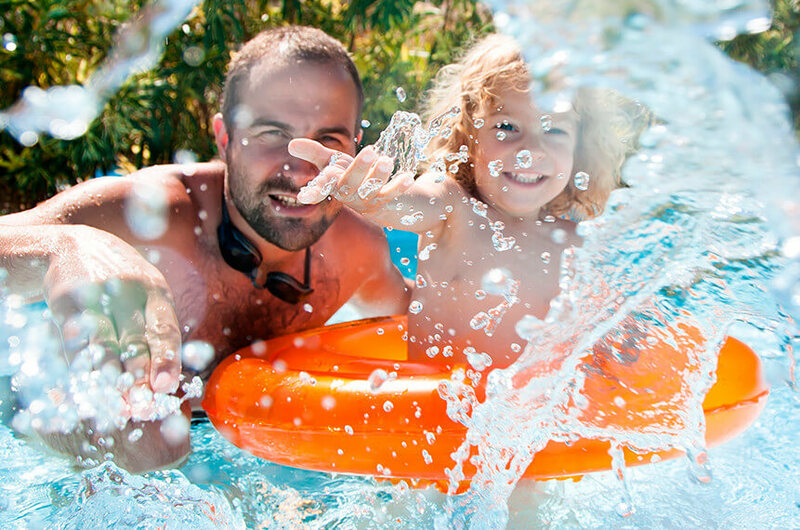 Nestled among our lush landscaped grounds, the Garden Pool is the perfect place to rejuvenate or play! Our Garden Pool is like a secluded oasis surrounded by mature Canary Island Pines and lush landscaping. This pool area is located next to Building #2 and is separate from our Castaway Cove Water Playground. 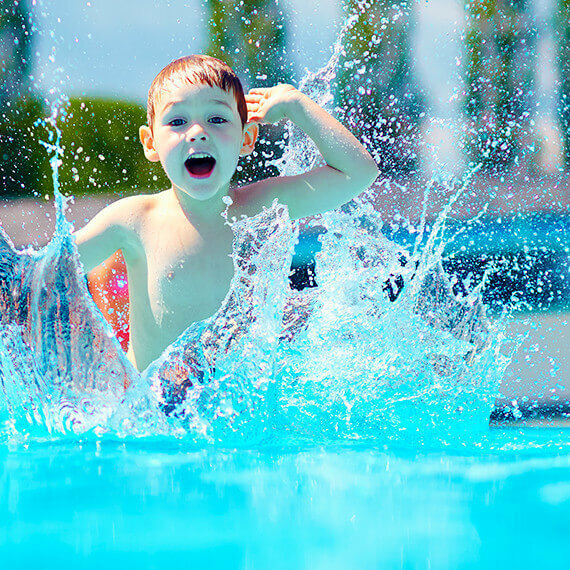 Our heated, outdoor pool is an excellent place to relax with your family and unwind from the fast paced sightseeing experience. 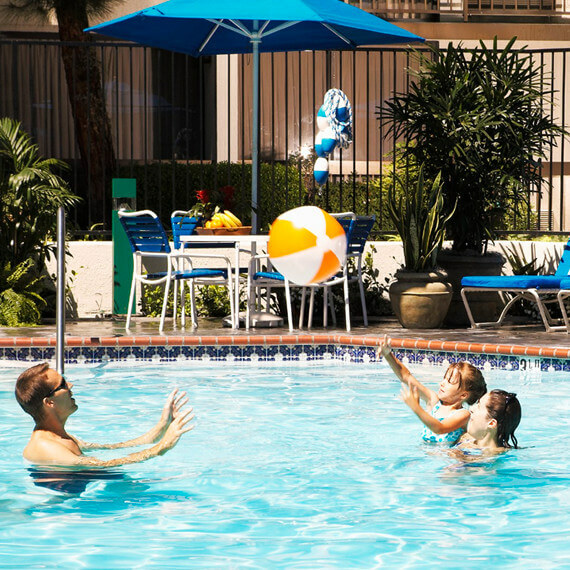 Enjoy the convenience of being able to come back in the middle of your jam-packed Disney day for a refreshing dip before heading back to the excitement of the Disneyland® Resort. Complimentary swim pants are offered at the front desk upon request for those little ones who are not yet potty trained.